The Windows Store is home to tens of thousands of apps and games. In addition to apps and games, the Store also has movies, TV shows, and music. Every app on Windows Store has a dedicated page with details about the app or game. Store page of all apps and games display screenshots of apps and games so that users can have a glimpse of the app’s user interface before installing it. However, pages of some games have videos, and they start automatically playing when you visit their pages. 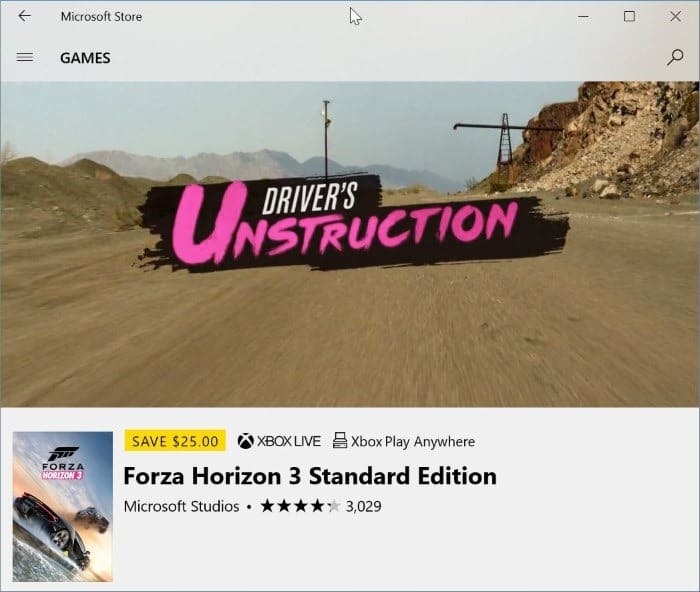 For instance, the Forza Motorsport 7 game page automatically starts playing a video when you open the page in Store app. Of course, you can pause the video by clicking on the pause button that appears on the video, but it will not stop the video from automatically playing when you visit a similar page again. Be it Windows Store or any website, most PC users hate to see videos from automatically playing. For instance, you might don’t want a video to start automatically playing when you are browsing the Store at your workplace or when you are listening to your favorite music. Luckily, you can stop videos from automatically playing when browsing the Store. 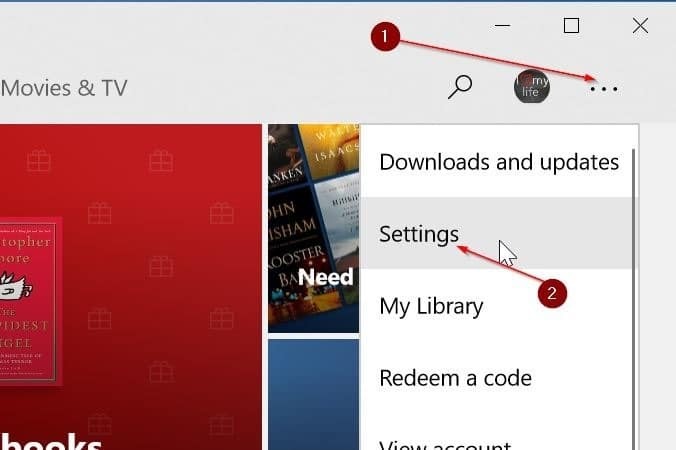 Windows 10 Store app offers a setting to stop videos from automatically playing in the Store. Here is how to prevent videos from automatically playing in Windows Store in Windows 10. Step 1: Open the Store app. Step 2: Click the three dots icon next to your user profile picture in the Store and then click Settings. Step 3: In the Video Autoplay section, turn off the option to stop videos from automatically in the Store app. The new setting will be applied immediately. That’s it! 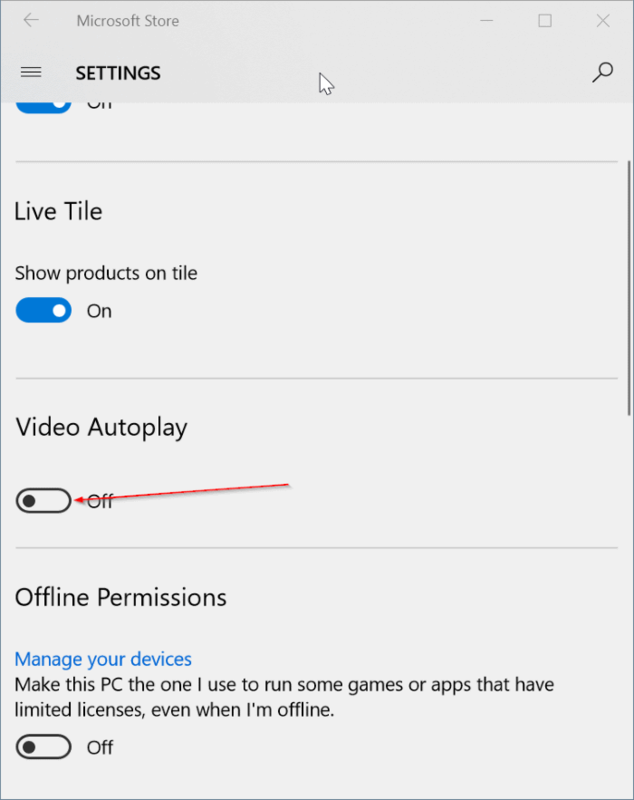 From now on, videos won’t start automatically playing when you visit a game or app page in Windows Store. To play a video, simply click or tap on it.